HTC's new Vive Pro from HTC builds on HTC's revolutionary Vive that burst onto the scene in 2015 with the addition of a range of technical and ergonomic optimisations ranging from high-resolution 1.440 x 1.600 AMOLED displays to a new chassis that optimises weight distribution. Virtually every aspect has undergone some improvement, and the HMD's new Hi-Res 3D Spatial Audio headphones are no exception. While the headphone is directed primarily at professionals for whom spending long periods of time in VR is a necessity, these optimisations will be of tremendous benefit to anyone passionate about VR applications and gaming. After noticing the premium matt blue case of the HMD for the first time, the second thing that will immediately strike users is the improvement in the AMOLED displays in comparison to the original Vive. With rich and vibrant colour reproduction, enhanced optics, new 2880 x 1600 (615 ppi) panels that offer a 37% PPI improvement as well as a 78% increase in the number of pixels, the Vive Pro also allows for high refresh rates of 90 Hz. 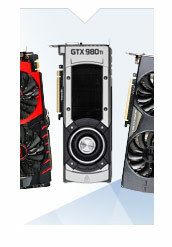 These high refresh rates help to minimise motion-to-photon latency and keep it at below 20 milliseconds. This combination of advanced display output technology helps ward off motion sickness, especially in fast-moving scenes or games, and offers a drastic improvement in the flow and immersion of your experience within VR. Another pleasant side-effect of the HMD's increased resolution is the ease with which users can read text in VR, as the higher resolution makes text noticeably sharper and easier on the eyes. Presence, defined as a person's subjective sensation of being within a scene within virtual reality, requires the greatest possible comfort and ergonomics along with advanced display technology. While virtual reality depends on AMOLED screens, high resolutions and high refresh rates in the strictest literal sense, it is only in combination with exceptional ergonomics that users are able to fully reap the benefits of this cutting edge technology. In terms of ergonomics, the weight of the Vive Pro has undergone a series of ingenious incremental innovations to help distribute the weight of the HMD more evenly around the head of the user. This new 'dial' design that includes a small wheel located to the rear of the device to enable tightening and loosening of the headset improve the comfort of your VR experience. Moreover the Vive Pro also includes a brand new button, located discretely to the fore of the HMD which enables you to adjust the screen distance either further away or closer towards you. This marks a drastic improvement in the HMD experience for glasses wearers. According to HTC, the new Vive Pro also comes with an impressive 24% increase in face gasket surface area. The perfect experience of immersion in VR is dependent upon maintaining this sense of presence, and the Vive Pro takes a dramatic leap forward in achieving this objective. 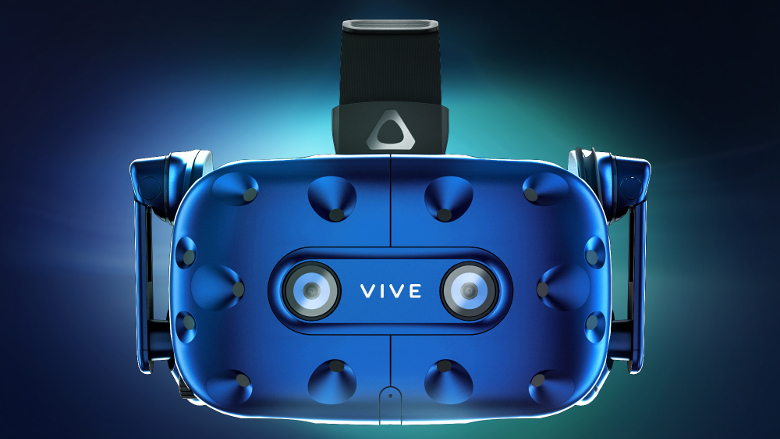 The HTC Vive Pro takes inspiration from the deluxe audio strap introduced for the original HTC Vive, employing a revised headset chassis that enhances the HMD's ergonomics by decreasing the weight on the front of your face as well as including a refreshed nose pad and face cushion combination. This not only makes wearing the headset more comfortable, but also helps to block out significantly more light and prevent unwanted reflections on the displays. But what use is presence if you're limited to standing on the spot? The HTC Vive Pro utilises 32 sensors embedded in the front of the headset to track even the tiniest movements of the player. Achieving this is possible thanks to the two "Lighthouse Stations" (available separately) which triangulate your location in a three dimensional space using lasers. Note: In order to utilise a play area of greater than 5 x 5 meters, four new Lighthouse base stations will be required. These are expected to be released in the course of the year. HTC created the Chaperone System, colloquially known as "Tron Mode", in order to help users remain aware of objects in their surroundings when wearing the headset, thereby preventing collisions and accidents. This ingenious system successfully identifies objects and represents them in the user's HMD by means of glowing outlines and silhouettes. This is also possible in part due to the dual camera system integrated into the front of the Vive Pro. As a result users are free to enjoy the full use of the space available to them in safety - without breaking immersion. This is possible due to the interaction between the 32 embedded sensors and the Lighthouse tracking stations. The blend of practical considerations alongside ingenious hardware and premium content makes the Vive Pro into arguably the best VR system available today. That covers what you hear, but what about what you say? 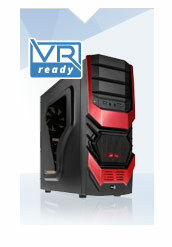 The new design also includes dual built-in active noise cancelling microphones to increase the quality of your experience when communicating with others in VR during multiplayer or co-op games. Other quality of life improvements include volume controls that are now embedded into the headphones as well as a mute button, for when you need to talk to someone nearby. To complete your experience of sensory immersion, HTC also developed separately available controllers to be use as means of interacting with your virtual environment. Their versatility is unparalleled, given that they are called upon to function as anything from a paintbrush to a ray gun. 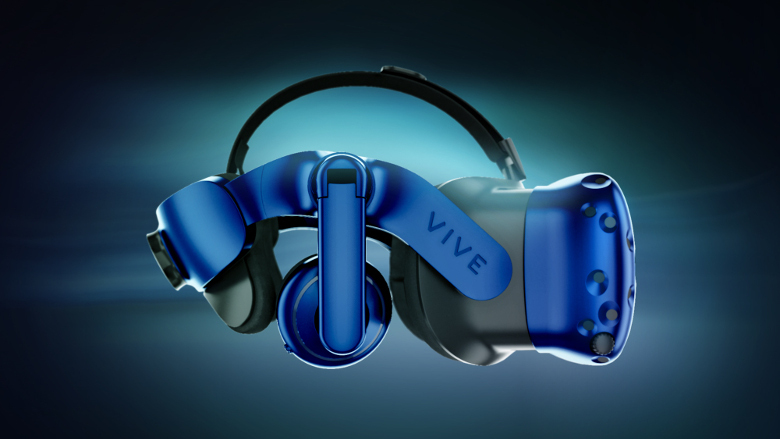 They offer 24 further sensors to go along with the 32 embedded in the HMD, a multi-function trackpad, dual-stage trigger, HD haptic feedback and a rechargeable battery. High-performance VR Ready graphics cards or complete VR Ready systems for the optimum Virtual Reality experience with the Vive Pro. 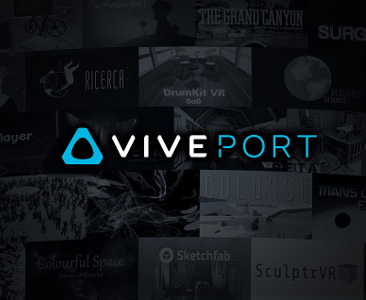 Limited Time Only: Includes FREE 6 Month Subscription to Viveport! Available for a short time only, receive a free 6 month subscription to Viveport included along with your purchase. Viveport is the app store for Virtual Reality where users can discover, connect with and experience their favourite content. More links for "**B Grade** VIVE PRO The professional grade VR Headset - HMD Only (99HANW016-00)"